Marco Frazzica, partner of De Berti Jacchia Franchini Forlani since 2005, started his professional career in 1985 joining the Milan firm Bergmann e Scamoni which then became, after successive mergers, CMS Adonnino Ascoli & Cavasola Scamoni. After periods of practice as visiting foreign lawyer at Vinge in Gothenburg and at Baileys Shaw & Gillett in London he became, in 1992, partner of CMS Adonnino Ascoli & Cavasola Scamoni, where he followed mainly American, British and Scandinavian clients focusing on contractual consultancy on commercial and corporate law, including M&A and private equity. He has also acquired a focused competence in the specific industry sectors where his major clients are engaged, such as the automotive and the steel industry. Marco, today, continues to deal with contractual consultancy, commercial and corporate law, M&A and private equity. Fluent in Swedish, he has been for many years member of the Board and then Chairman of the Italian-Swedish Chamber of Commerce-Assosvezia as well as member of the Board of Unionestere, the association of foreign chambers of commerce in Italy. 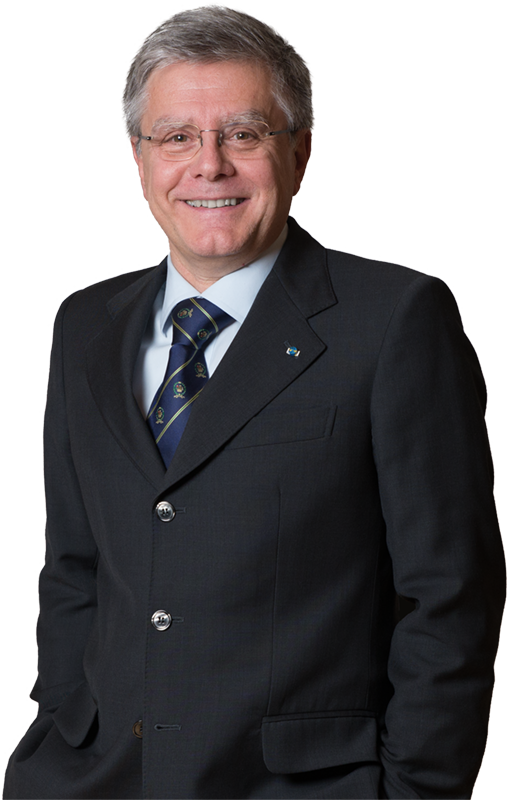 Due to his knowledge of the Italian-Swedish relations and his well established professional relations with Scandinavian companies, in 2002 Marco was appointed General Consul (Honorary) of Sweden in Milan and still has jurisdiction over Lombardy, and the Municipality of Alessandria, Novara, Verbano Cusio Ossola. He tightly cooperates with Swedish institutions, among which the Swedish Trade & Invest Council, for which Marco spoke at seminars and events held in various Swedish cities on corporate and commercial issues related to the options available to Swedish companies to enter and do business in the Italian market. As a consultant to legal publisher Ipsoa-Francis Lefebvre, he contributes to the Memento Pratico Ipsoa-Francis Lefebvre, a classical reference book on commercial enterprises. Marco was Vice-President of the International Business Law Commission of the International Young Lawyers Association (AIJA) as well as member of the Milan Bar Commission for International Relations. L'avv. Armando Ambrosio è il nuovo resident partner della sede di Mosca dello Studio Legale De Berti Jacchia Franchini Forlani. Lo Studio De Berti Jacchia Franchini Forlani ha assistito la casa automobilistica svedese SAAB nell'acquisizione da General Motors Italia S.r.l. del ramo di azienda relativo alla distribuzione ed alla assistenza post- vendita delle vetture SAAB nel territorio italiano. Lo Studio De Berti Jacchia ha assistito con successo la nota casa svedese HÄSTENS SÄNGAR, produttrice di letti e materassi di altissima gamma, in una causa per contraffazione di marchio comunitario e concorrenza sleale contro una società italiana. Assisted and represented a German multinational, world leader in high precision optical equipment and medical devices, in the acquisition of a leading italian company. Assisted a major Swedish automotive manufacturer in the management of the contracts regulating its Italian distribution network and in the structuring of its Italian corporate structure. Assisted a Nordic group, amongst the world leader in the steel sector, in the negotiation of complex arrangements related to the lease and subsequent sale of an industrial complex located in Italy. Assisted a major Swedish multinational, operating inter alia in the metal cutting tools and mining industry, in the setting up of a network of agents and dealers throughout the Middle East. Assisted a major Swedish automotive manufacturer in the purchase of two business concerns located in Italy. Assisted a Swedish group active in the manufacturing of copper and aluminium winding wire for electric motors in the negotiation of a potential purchase of an Italian business. Advised the largest Swedish telecom operator in the management of the legal aspects of its Italian operations. Assisted one of the largest Norwegian producers of salmon in the setting up of an Italian company owned in joint venture with an Italian entrepreneur active in the fishing farm business. Assisted a major Swedish ski tour and hotel operator in the purchase of hotels in the Italian Alps. Assisted a Swedish group active in the manufacturing of stair lifts, patient transfer and lifting products in the negotiation of a potential purchase of an Italian business. Assisted an Italian group, active in the manufacturing of plastic cable conduits (pre-wired, pliable and rigid), with the legal and contractual issues linked to a Swedish joint venture. Assisted a Swedish group, active in the electronic sector, in the negotiation for the acquisition of a business concern from an Italian insolvecy procedure and in establishing a presence in Italy. Assisted a US corporation, leading supplier and solutions provider to the foodservice, in the purchase of a business concern from an Italian insolvency proceeding. Assisted a major Swedish Insurance company in the evaluation and managment of legal cases occured in Italy. Assisted the Italian subsidiary of the leading French cosmetic and pharmaceutical group in reviewing and implementing its new selective distribution contracts with Italian authorized dealers, including chemist’s shops.